Twenty-three-year-old William Roberts died on July 30th and was buried at Bethel Burying Ground. The above document is a report by the Coroner of Rensselaer County of New York State that states twenty-three-year-old William Roberts drowned while bathing. * His body was transported to his father Aaron Roberts in Philadelphia. Rensselaer County is in the northeast part of New York and borders Massachusetts and Vermont. The county seat is Troy, NY. Young William went missing on July 30, 1848, and his body was recovered on August 1st when it was viewed by the coroner. William Roberts was buried at Bethel Burying Ground. The family lived in a single room on Willing’s Street, a small thoroughfare that ran between Chestnut and Walnut Streets and 3rd and 4th Streets near the banks of the Delaware River. The rent was extremely low at $2.50 a week which indicates a very poor subsistence. Aaron reported in the 1847 African American Census that he earned $6 a week; approximately $150 in today’s currency. Rachel may have brought in a couple dollars more a week if she had the work. Willing’s Street has an interesting place in Philadelphia history. Starting in 1745, it was renowned as “Mansion Row” and was the home of wealthy merchants in the city. By the time the Roberts family moved there, the structures had been turned into boarding houses. Tucked in between the early marble and mahogany mansions was a small brick building that in 1770 began to house the Free African School. The school was founded by Anthony Benezet, a white French immigrant, and Quaker educator. He was an early fervent abolitionist and founder of one of the world’s first anti-slavery organization. The school was only open for six years but broke many barriers in the education of Black Philadelphians. In its short span, it served approximately 250 African American children. Its graduates included Samuel E. Cornish who was to become an African Methodist Episcopal minister and civil rights leader and James Forten, a successful manufacturer and a tireless leader in the anti-slavery and equal rights movement in Philadelphia and nationally. Free School teachers included the remarkable Sarah Dougherty and Sarah Mapps Douglas who went on to teach and mentor the young Black women at the Institute for Colored Youths. I have no way of knowing this but in the above photo of Willing’s Street, there is a one-story brick building. Could this have been the building that housed the Free School? *I could not find any newspaper reports on William’s death. 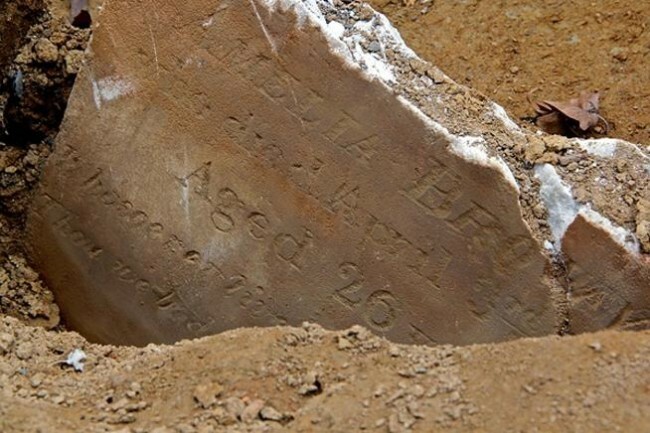 ← Two-year-old Mary Lavinia Singer died this date, July 14th, in 1849 and was buried at Bethel Burying Ground.